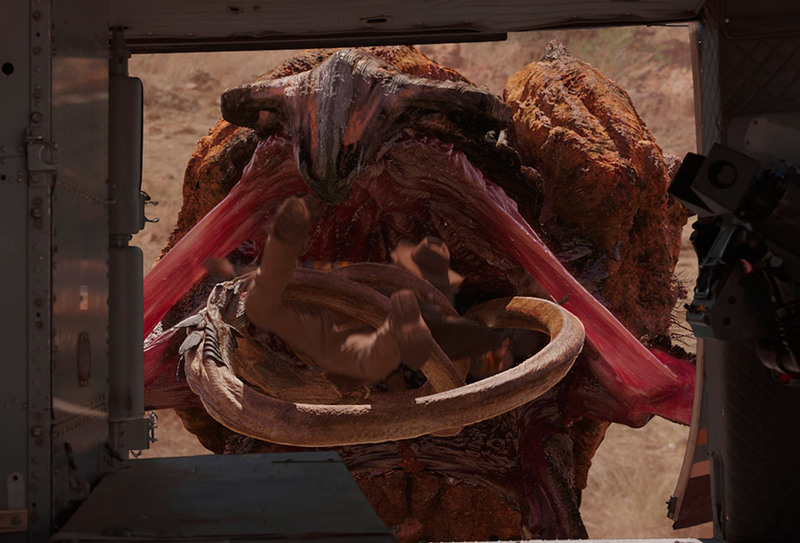 Tremors 5 is the first film in the series not to involve in its production the original Tremors creators — S.S. Wilson and Brent Maddock. 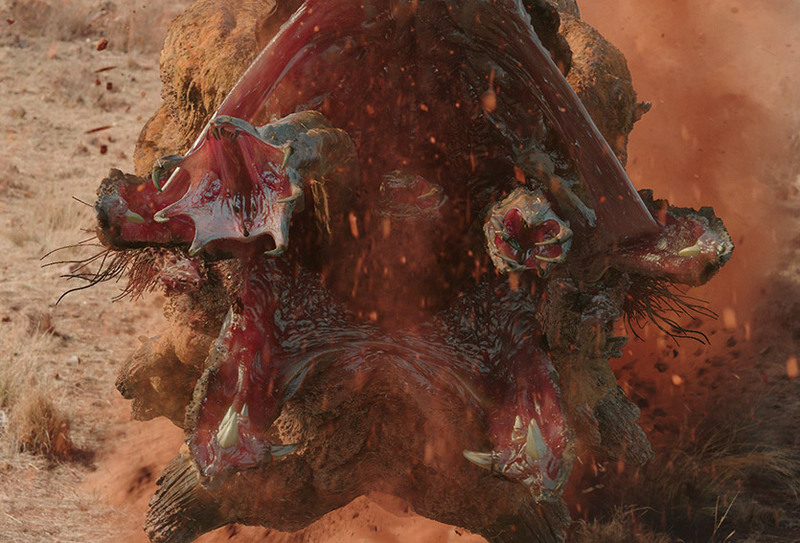 In an official press, they said that “for all of us at Stampede, this is a bittersweet development in our long connection with the franchise, since we, the creators, are not involved.” As early as 2004 — shortly after the release of Tremors 4 — the writers had developed a script for another Tremors sequel; the story, set in Australia, would have revealed the Assblaster egg-laying process. In 2012, Wilson and Maddock attempted to negotiate with Universal to produce an independent theatrical film, but the studio refused the offer — preferring to continue the series with more straight-to-video films. 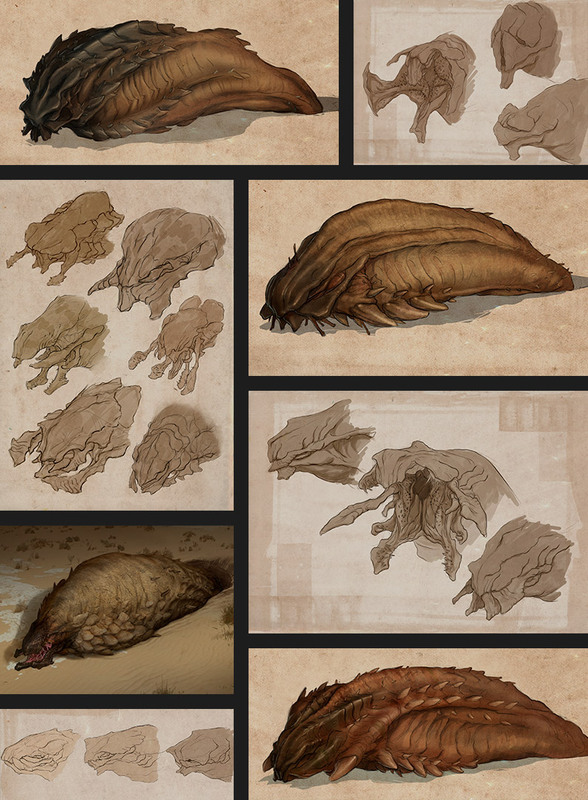 Two years later, in fact, Universal began assembling a creative team for a new Tremors film. Wilson and Maddock, however, were only offered executive producer positions. 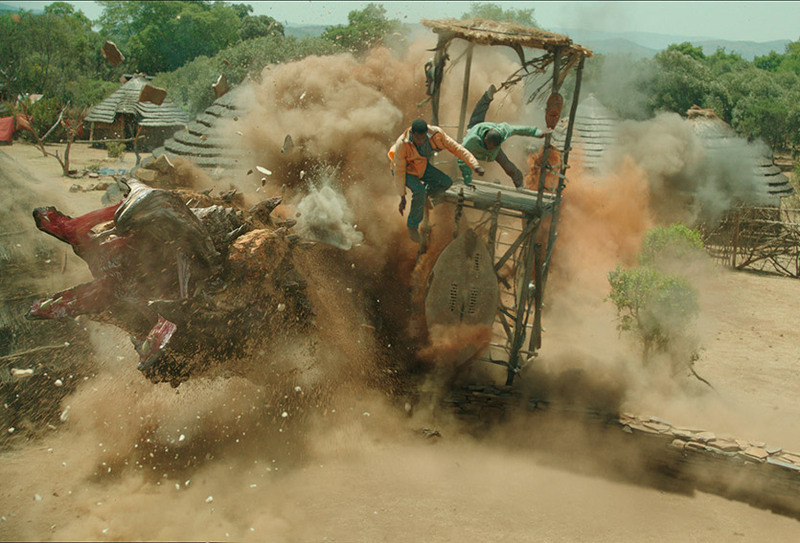 “While they pointed out that they had ‘no further contractual obligation’ to Stampede, they did offer us executive producer positions,” Wilson and Maddock said, “but they also made it clear that in this new even-lower budget project, the Stampede’ partners’ participation would be severely restricted, with little control over cast, director, special effects, locations, or indeed any aspect of production.” The restrictive offer did not allow the writers control over any aspect of the film, and the two ultimately refused to be involved with the film. 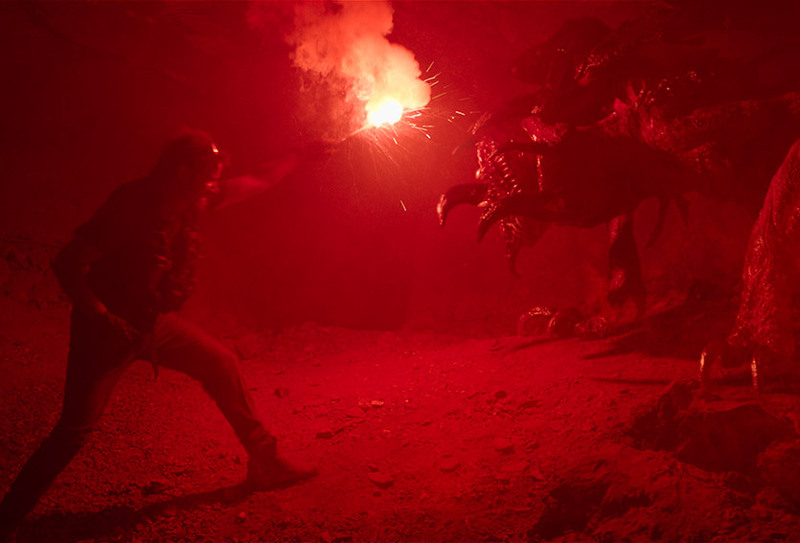 “Without meaningful creative control allowing us to continue to guarantee the integrity of our Tremors vision, we sadly declined to be involved,” they stated. When it came to the new Assblaster, Trichkov was not too fond of the original iteration. “To be honest, I hated the original Assblaster design and I thought that it could be greatly improved,” he said. 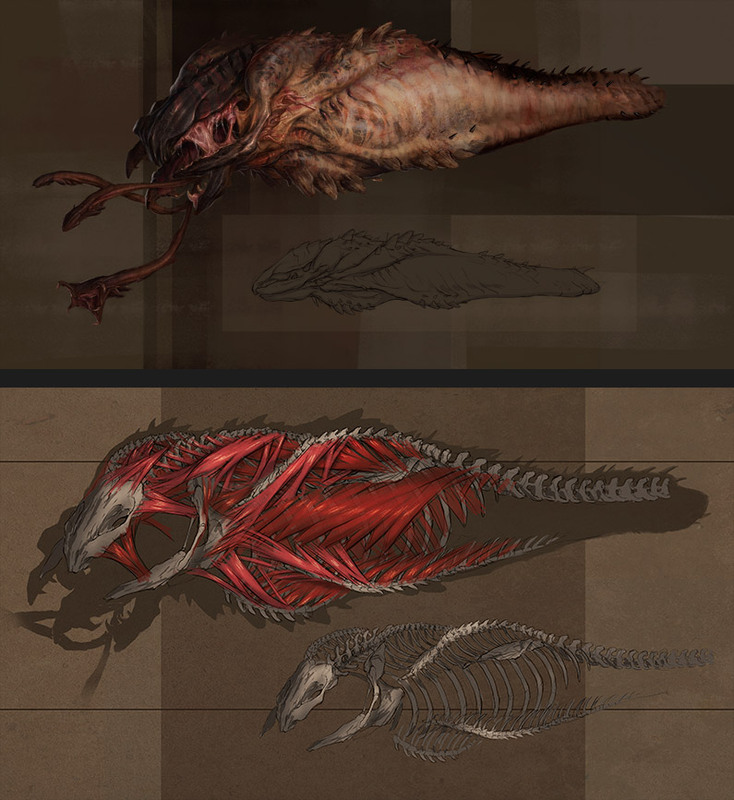 “My thought was to make it more vicious, more agile and to make it look different from everything else. Here, as always, the devil was in the details: the turbine at the end of its body holding flammable gas; the two curved bones that ignite the flames from that same turbine; the burned-out scales left from hundreds of fire blasts; the small weak wings used for gliding; the way the wings fold invisibly into the body; and of course, the grotesque mouth.” Unlike the previous Blasters, the new creature had literal wings, as opposed to gliding sails. 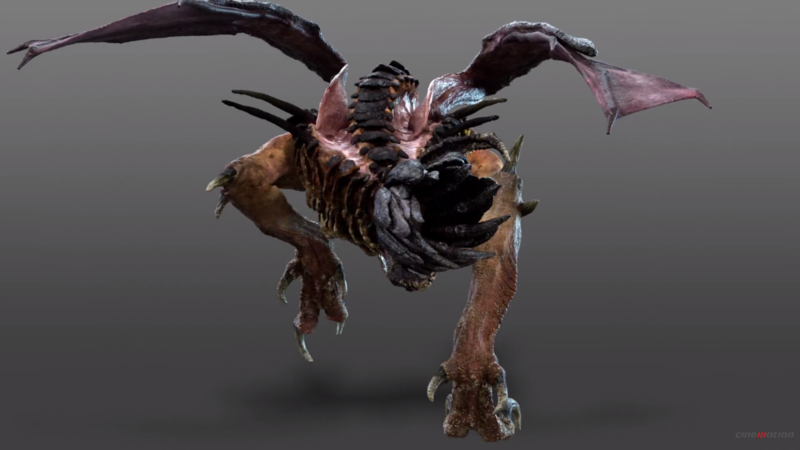 Trichkov also wanted to make the Assblaster look more related to the Graboid, as the Shrieker stage was missing. “One of my aims was to bring the Assblaster much closer in appearance to the Graboids, because they are directly related. 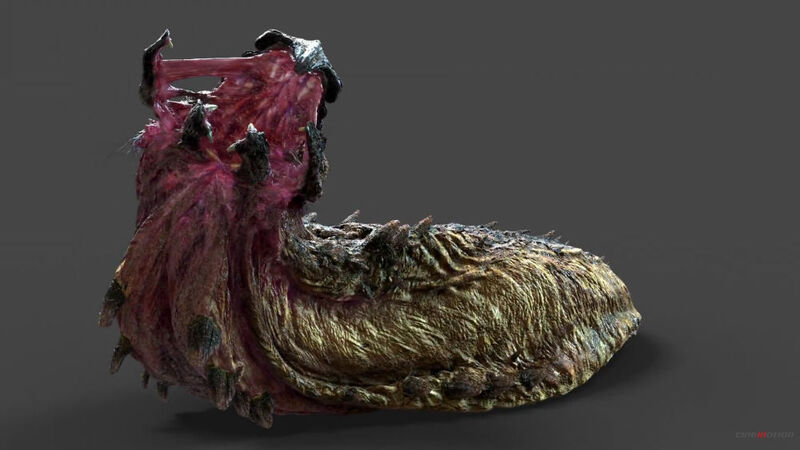 Graboids are hatched from Assblaster’s eggs and they should look more like each other than they had previously.” One last touch to the digital model was a charcoal material covering on the back that progressively faded out towards the head, in order to suggest the long term effect of the tail combustions. 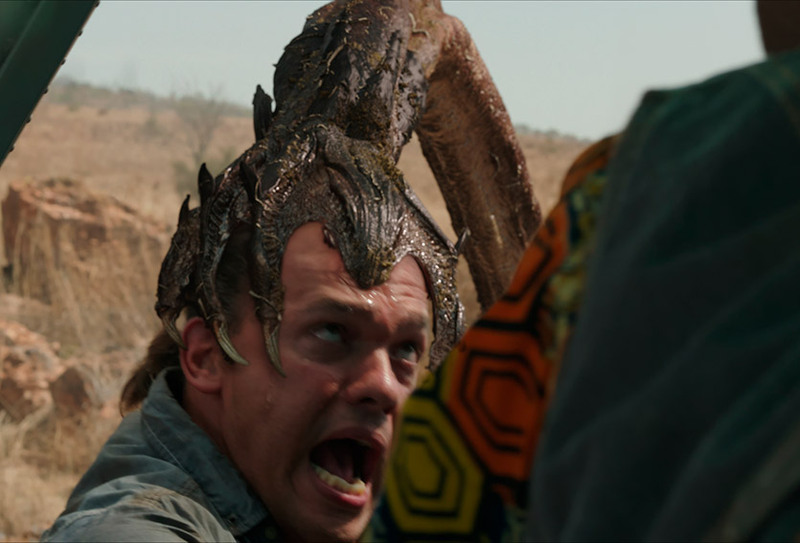 For more pictures of the African Graboids and Assblasters, visit the Monster Gallery. Posted on 13/06/2017, in Movie Monsters and tagged Graboid, Tremors, Tremors 5. Bookmark the permalink. Leave a comment.